Super clean, attentive and professional staff. Very good deal! So Thai Spa Bangkok has had years of experience in expert, professional spa treatments and have helped numerous customers relax and rejuvenate their bodies. 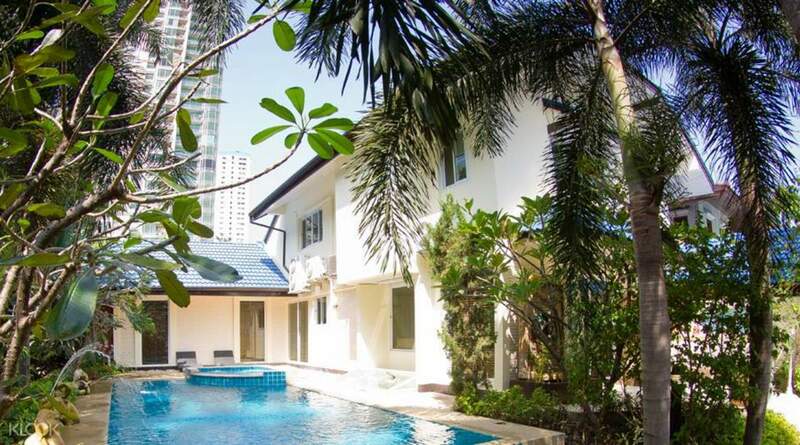 Located right in the heart of Bangkok, this is the perfect chance to try out some of their famous spa treatments and allow the stress and cares to fade away as you give in to their sumptuous services. You can enjoy a body scrub that will exfoliate dead skin cells and moisturize tired, dry skin. You can opt for a number of massage options, such as the Full Body Traditional Thai Massage, an Aromatherapy Massage, a Jet Lag Massage or a Head & Shoulder Massage, all designed to ease tension in the body and circulate blood flow. 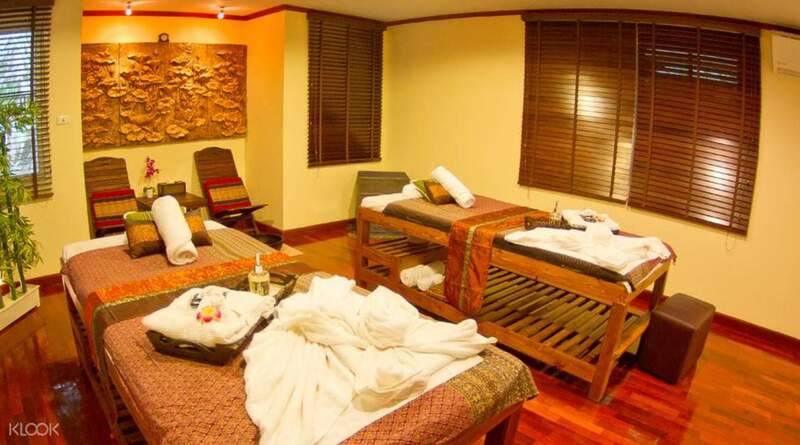 There is even a Facial Massage which will brighten your skin and aid your complexion. Kick back and relax and let their profesisonal masseuses wring your tensions away. Take BTS to Phrom Phong BTS station. Take a taxi scooter or taxi, tell the driver to go to Sukhumvit 31. Go straight past the first intersection where there is a 7/11 on the left. So Thai Spa will be locating on the left after 350m. This place looks nice and the service is good. They will ask you which part you would like to concentrate on and we said shoulder and back and legs, then we got a lot of massage on those parts. Frankly speaking it hurts a little😄. Do not need to call before, just go with the reserved date and time. This place looks nice and the service is good. They will ask you which part you would like to concentrate on and we said shoulder and back and legs, then we got a lot of massage on those parts. Frankly speaking it hurts a little😄. Do not need to call before, just go with the reserved date and time. Super duper wonderful experience! Remember to book it in advance! The reception is super sweet and give us a warm welcome, simply show your e-voucher and she would arrange everything. 4 different essence oil is given to us to choose and an ice tea is provided to help us cool down in the hot weather. They have a 3 persons room, and theres a private toilet in the room. The room is clean and spacious with soft music. The massage is super duper good. They know what to do to give you the best massage experience. I had done a lot of spa when travel and i could promise this is one of the best massage i have ever had. 2 hours of massage time is good enough. I fell asleep during the massage and it explains how comfortable it is! More than that, the price is reasonable. One bad thing is that the location is a bit far from the nearest BTS station ( Phrom Phong), recommend spend more time to walk or take a taxi there. Super duper wonderful experience! Remember to book it in advance! The reception is super sweet and give us a warm welcome, simply show your e-voucher and she would arrange everything. 4 different essence oil is given to us to choose and an ice tea is provided to help us cool down in the hot weather. They have a 3 persons room, and theres a private toilet in the room. The room is clean and spacious with soft music. The massage is super duper good. They know what to do to give you the best massage experience. I had done a lot of spa when travel and i could promise this is one of the best massage i have ever had. 2 hours of massage time is good enough. I fell asleep during the massage and it explains how comfortable it is! More than that, the price is reasonable. One bad thing is that the location is a bit far from the nearest BTS station ( Phrom Phong), recommend spend more time to walk or take a taxi there. It is very relaxing. Service level is good but there is no mango rice dessert after the spa, you should notice about this. It is very relaxing. Service level is good but there is no mango rice dessert after the spa, you should notice about this. Good experience! Easy redemption as I just had to flash the voucher to the reception & all was prepared already. Was abit apprehensive initially as the place looked abit older to what we were usually used to but overall massage was above average amongst the many we’ve tried in Bangkok. Good experience! Easy redemption as I just had to flash the voucher to the reception & all was prepared already. Was abit apprehensive initially as the place looked abit older to what we were usually used to but overall massage was above average amongst the many we’ve tried in Bangkok. One of the best thai massage in Thailand. They cater to your needs by your choice of Soft, Medium or Strong and also asked if i have any injuries which i told them i pulled my neck from bad sleep and low pillow, and ta-da... my messueur fixed it! We were there 45mins earlier but they let us chill in a nice room and served us drinks while waiting. One of the best thai massage in Thailand. They cater to your needs by your choice of Soft, Medium or Strong and also asked if i have any injuries which i told them i pulled my neck from bad sleep and low pillow, and ta-da... my messueur fixed it! We were there 45mins earlier but they let us chill in a nice room and served us drinks while waiting. We tried three spa in Bangkok, although So Thai Spa is the least expensive one, the experience is the best. The hospitality and smiling staff had made even the reception an enjoyable experience. The massage is good, the technicians are friendly. Definitely one of the best massages in Bangkok. 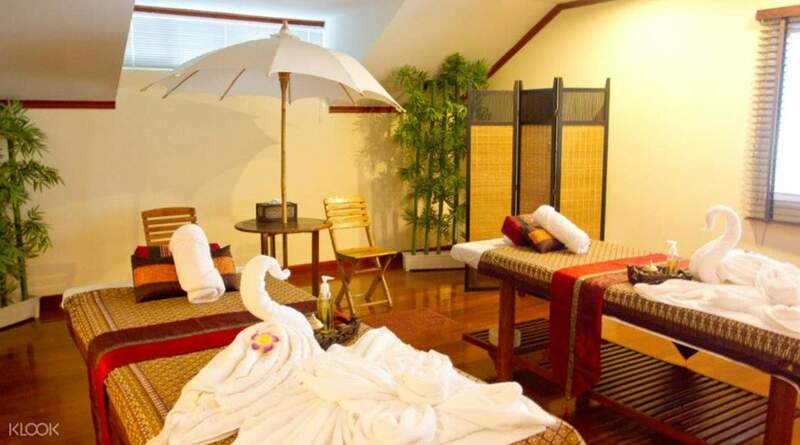 We tried three spa in Bangkok, although So Thai Spa is the least expensive one, the experience is the best. The hospitality and smiling staff had made even the reception an enjoyable experience. The massage is good, the technicians are friendly. Definitely one of the best massages in Bangkok. Wonderful and relaxing experience. The staffs in So Thai Spa are very friendly. The environment is comfortable. Booking process is very smooth, everything can be confirmation via Klook app. Wonderful and relaxing experience. The staffs in So Thai Spa are very friendly. The environment is comfortable. Booking process is very smooth, everything can be confirmation via Klook app. Great therapists. This is a very popular place, and advance booking is highly recommended. Great therapists. This is a very popular place, and advance booking is highly recommended. Super clean, attentive and professional staff. Very good deal! Super clean, attentive and professional staff. Very good deal!